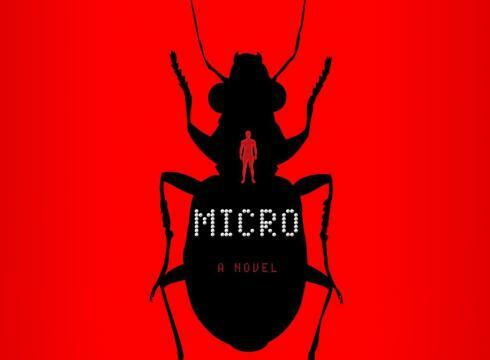 The second posthumously-published Crichton novel, Micro is a classic Crichton tale in a way that Pirate Latitudes (the first) wasn't. It's a techno-thriller, pitting a group of graduate students against both a power-mad and money-hungry corporate boss in a fantastical setting. It's Timeline, if you were to subtract the knights and add giant bugs. Despite having a fairly distinctive voice, it's tough to tell where Crichton ends and Preston begins. That's to Preston's credit. There are a couple of tin-eared phrases that jump off the page as not possibly coming from Crichton's pen, but these are few and far between. The book was allegedly discovered about a third complete in Crichton's files. Certainly, then, the story is Crichton's, and it's a hummer. The protagonists find themselves shrunk, Osmosis Jones-style, to heights of less than an inch. They're in a forested area in Hawaii (trying to get out) that may as well be another planet. Enormous hummingbirds scream overhead and gargantuan millipedes threaten lives. The theme (and Crichton novels, at least recent ones, are never without themes) is one that resonates, sort of a "nature, red in tooth and claw" idea. It seems a more accurate way of viewing the world than the prevailing "nature equals peace and harmony" view. Crichton and Preston make all the characters expendable, heightening the tension of the experience. It's a world we've been in before, even if just in elementary school film strips, but it's brought to life in Crichton's signature thrilling style. Though not among his best work (Jurassic Park, The Great Train Robbery, Airframe), Micro is nonetheless far better than this worst (Prey), and a middling Crichton novel is always a darn good read.